Lanzarote Plus gives you information about this island, with some special recommendations for restaurants, excursions, boat trips, animal parks, wellness centres, shops, artists and many more interesting activities here. With some of the recommendations that you find in the Lanzarote Plus book there are attractive discounts that allow you to get to know the island better and save money at the same time. Over the years friends, family and visitors have frequently asked up for advice about good restaurants, what there is to do, where to go, shops which are typical of here. So one day we decided to bring all this information together and publish it in the Lanzarote Plus book so that everyone could have access to the answers. People who have had a good time while on holiday here will come back again and recommend this island to their friends. 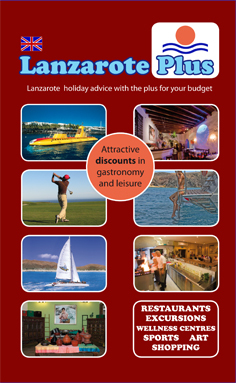 If you only use one of the many discounts that Lanzarote Plus offers, buying the book will already prove worth it. For example on the submarine excursion, a family of four saves 24.60 Euros. In the restaurant La Tegala you will get a good bottle of wine free with your meal. The boat excursion on Karolines Cruceros offers a 15% discount and the golf courses on the island give you a 10% discount. In our book you will find a lot of discounted recommendations. By taking our book with you on your island excursion you can easily save money while seeing some of the most interesting places. 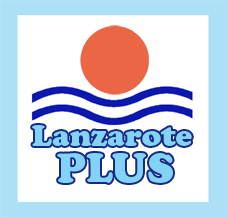 All the recommendations were chosen by the Lanzarote Plus team because of their quality and uniqueness, and after that the owners were contacted and asked for a discount for our readers. Working in this way we can stay true to our editorial line and offer recommendations that we believe in.